Writing Up Valentine’s Day Cards with Young Children The idea of writing up and handing out Valentine’s cards is very exciting for children, but printing skills at the preschool to grade one age can vary widely. Some kids can write not only their own name, but print out “Supercalifragilisticexpialidocious” if you spell it out for them. Others may have difficulty printing their name legibly and some may not know how to do so at all. 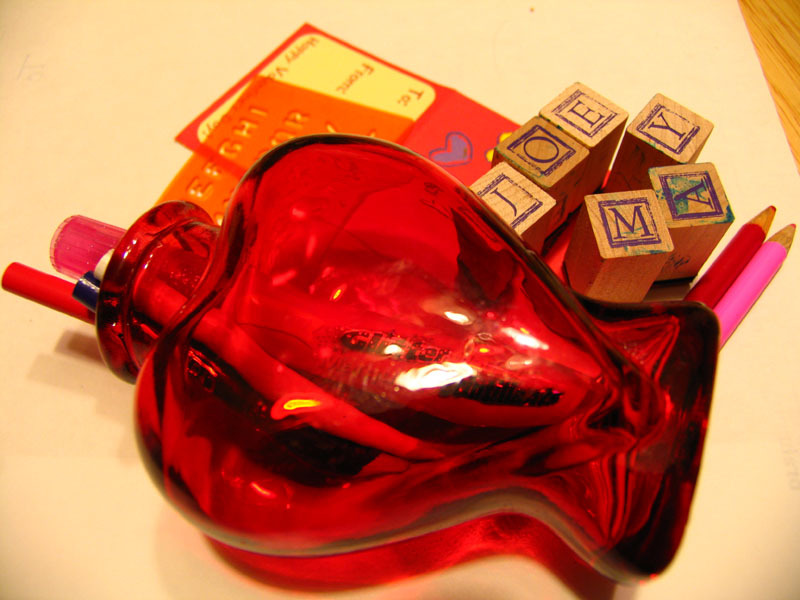 No matter where your child is at, the following ideas offer fun ways for children to work on their alphabet skills and love their letters for Valentine’s Day. First, it’s good to give your child a lot of time to work on their cards. You want printing to be fun, not an arduous chore to get all 20 cards done the night before Valentine’s Day. Ask your child’s teacher for a list of all the students’ names about two weeks before Valentine’s Day, so your child can work on a few cards a day until the big day arrives. You can get individual letter stamps for the whole alphabet and an ink pad (try a red or pink pad to go with the Valentine’s Day theme) to address the valentine cards. Work with your child to sound out the names of their friends and help your child pick out the right letters to stamp out the names on to cards. Another fun thing to do, is get some old magazines and cut out the letters needed for the names. Together you can pick out and cut out the letters. Then make a game of pasting the letters in as straight a line as possible or try out interesting patterns. You can also use the computer together and pick out fancy fonts and different colors for the names. Then print, cut and paste them to the cards. You can lightly make the words or make dotted lines out in pencil and have your child trace over it. For children who want to print, but aren’t quite there yet, you might invest in a plastic letter tracer. You can make a game of it by telling your child what letter to do next and see if they can find it on the tracer. Then they just put their pencil in the open slots and follow the paths to complete their letter(s). Another idea is for you to print the names in a thick felt and have your child trace over them. Or you could do it vice-versa, where you write the words out in pen and the child traces over in a felt. There are all sorts of great coloring tools out there to make it look artistic, such as glitter felt pens or a rainbow-colored pencil crayon. If your child can print a little, but printing on the small Valentine card itself is challenging, get them to practice on a separate sheet of paper. Draw boxes about the size of the space they will have on the card and have your child practice printing names in the boxes. If they are up to it, they can try printing on the card. Otherwise, pick out the best ones from the sheet of paper and cut and glue them to the cards. You can use plain white paper or get some colorful construction paper. Mix and match these ideas as you like. If your child is losing interest, sometimes switching colors or mediums can do the trick to keep them on track. Children love Valentine’s Day, so it’s a great way to get them excited about printing and learning their letters. Above all, it’s hoped these ideas spell out a lot of Valentine’s Day fun for you and your children. As a mom, I found I have to deal with situations that I never had to deal with before I had kids. Here is a word I came up with for describing what my phone conversations are now often like. What is a momversation you ask? It’s when I call someone on the phone and I have to stop talking to her/him in the middle of the conversation to talk to my kids. 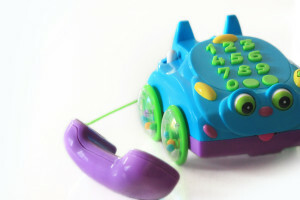 It is basically talking on the phone and talking to your kids at the same time. I usually only have a momversation with good friends along for the ride. My child(ren) interrupt me while I am talking on the phone. For some reason, picking up the phone and talking has the magical ability to cause my children to urgently need my attention. And the more interesting or important the conversation, it often seems their need to speak to me proportionately grows higher too. Ex.) Child is pulling on my shirt. Child is tapping me on the shoulder. Child is sniffling. Child is whining. Child is crying. Child is screaming. Child is going to step two for attention-getting. Ex.) Stop jumping up and down on the couch. Stop hitting each other. Stop making toilet paper mountains in the toilet. Start doing your homework. Start enjoying private time in your own rooms…separately. Start cleaning up that mess. What? You are only two and I can’t realistically expect you to clean up such a horrendous toilet-plugging disaster? Sigh.